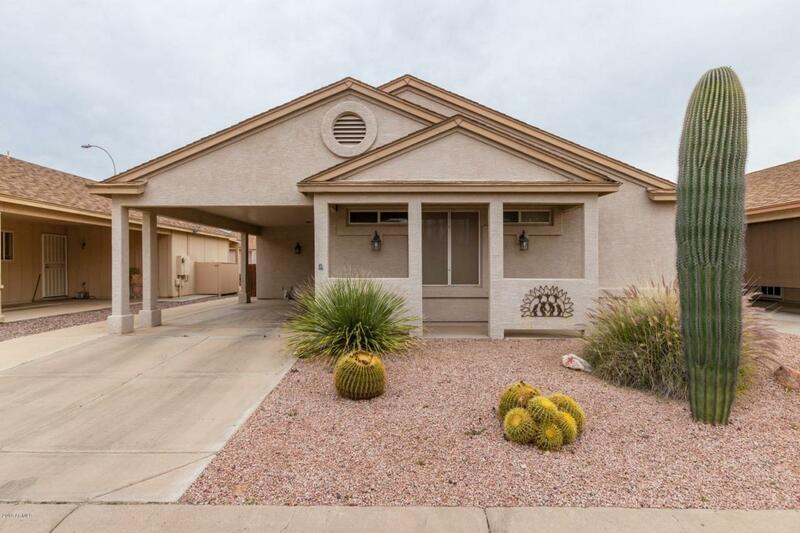 Don't miss this popular Rivera model in desirable Sunbird! 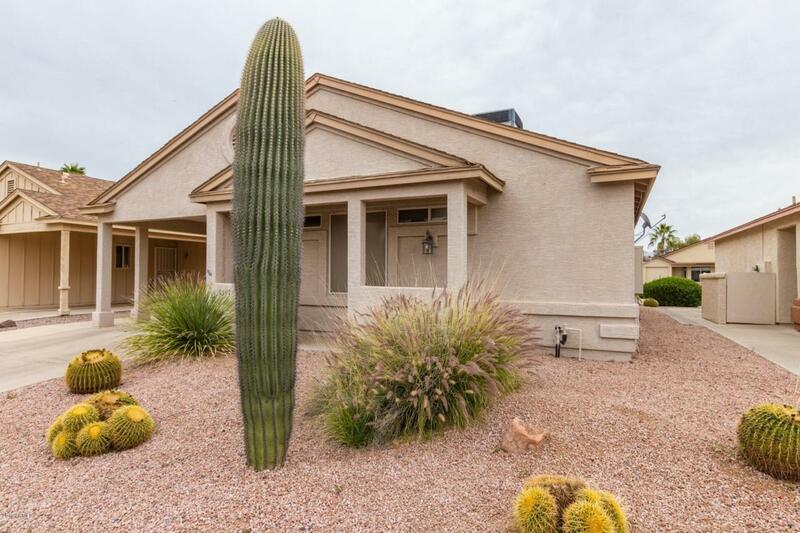 Open Great Room floor plan shows light & bright with vaulted ceilings & kitchen with built-in hutch, pantry & laundry room with full size stack washer/dryer. Sliding door to extended patio and perfect east exposure - have coffee & watch the sunrise and enjoy shade from the afternoon sun. 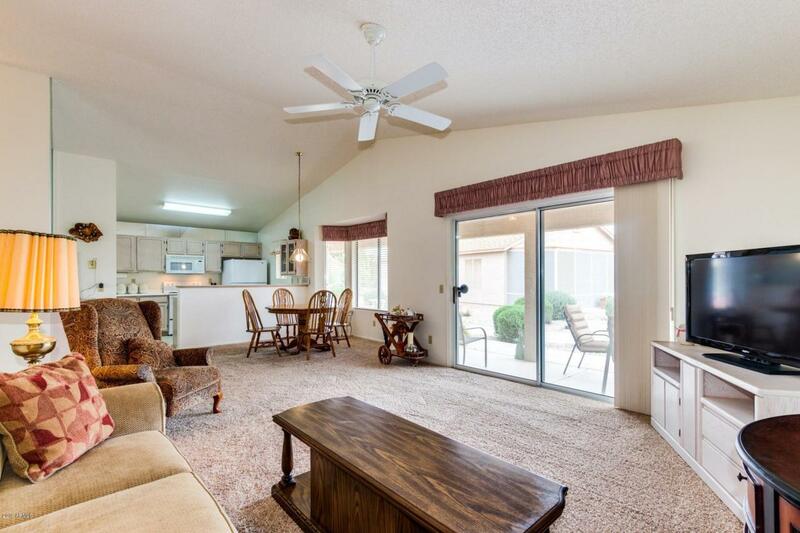 The common area off the patio is one of the larger areas in the community. Master bedroom has walk-in closet & bathroom with shower. Secondary bedroom and bath too! 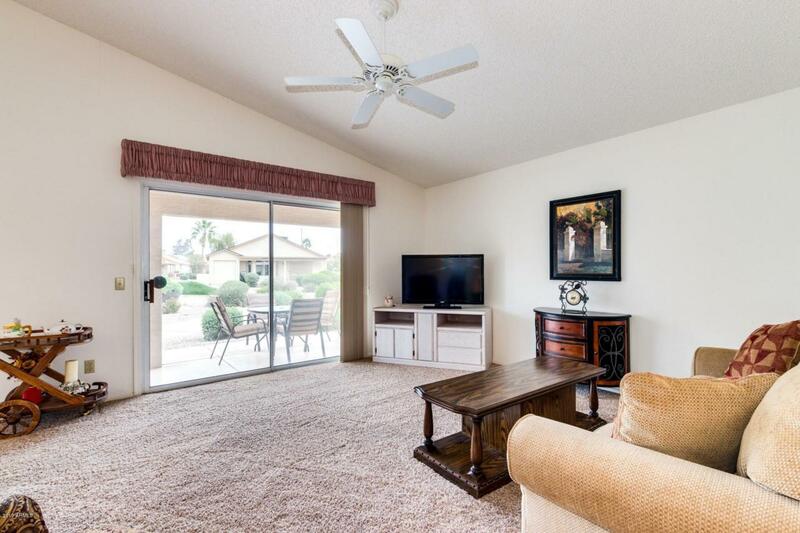 Great opportunity to buy in the Sunbird golf community that offers heated pool/spa, tennis, library, billiards, clubhouse with restaurant and more!